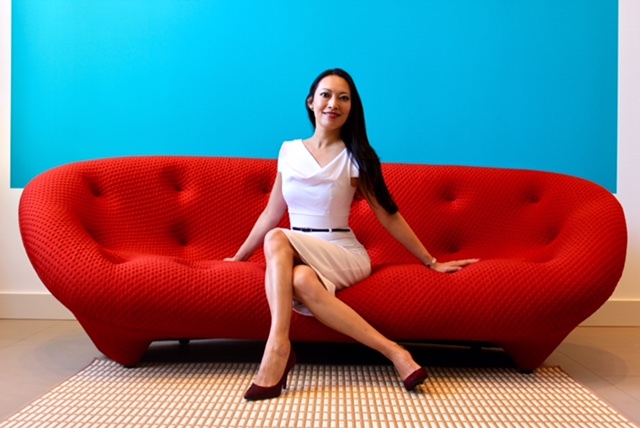 Lynn Huang, MD, MPH is one of those women who is dynamic and talented in so many ways. 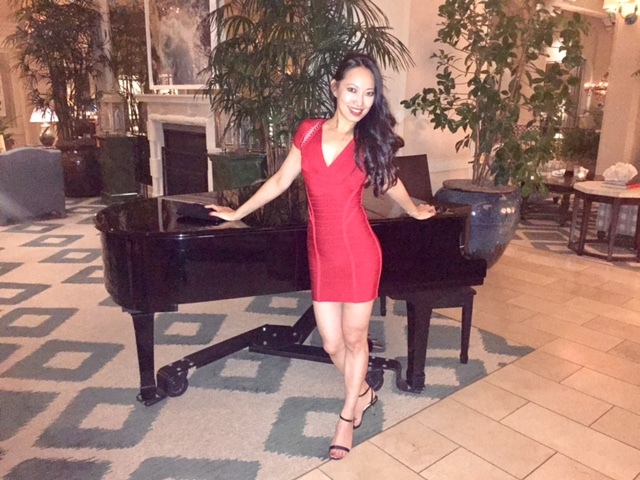 She is a retina surgeon, professional salsa dancer, lover of art, music and all things Los Angeles -- AND she dresses so well! Here Lynn highlights a Black Halo Jackie-O (a Moda favorite -- y'all need one of these) flawlessly rockin' a desk to dinner look. I love how Lynn adds a pop of color against the white BH with plum suede Michael Kors flex high pumps (patent plum on sale right now) but keeps it neutral with a strong black and white look for work. The neckline on this dress is so pretty under this Express blazer. Lynn's Cole Haan Kyle pumps (a best seller!) are 76% off right now -- this is a steal for such gorgeous shoes. For a red-hot (literally) out on the town look, Lynn loves Herve (so many pretty bandage dresses!). And its no wonder given how amazing it looks on her. And I continue to love her shoe choices -- particularly these Michael Kors glittery - and comfy - pumps. Fashion tip from this #bosslady? "it's essential to have a go-to tailor to tuck in and fix your wardrobe. Not only because a well-fitted outfit will make you stand out stylistically, but it makes it more comfortable for you to work and play all day and night. After all, when a woman is busy leading a demanding career and social life, the last thing on her mind should be uncomfortable or poorly fitted clothes"